The iPhone 7 completely changed the game when it was released. Its rounded body offered a new and stylish look for the iPhone and its 4.7-inch display is capable of showing an impressive 16 million colors. With an ion-strengthened glass screen and a dust and water-resistant body it means you rarely have to worry about damaging your iPhone 7 as you’re showing it off. The big changes with the iPhone include the decision to remove the headphone jack and the redesign of the home button. Using Bluetooth headphones, you don’t have to spend all day untangling wires and making sure your headset doesn’t get caught on things. Meanwhile, the new home button uses Apple’s Taptic Engine for haptic feedback, allowing you to get different vibration feedback for different alerts. That’s not all though, as the iPhone 7 also includes improvements for the cameras which are now dual-cameras of 12 megapixels (rear) and 7 megapixels (selfie). This is powered by 2GB of RAM and the quad-core processors and the A10 Fusion chip and it offers a battery life of up to 14 hours (talk time) or 40 hours (music play). 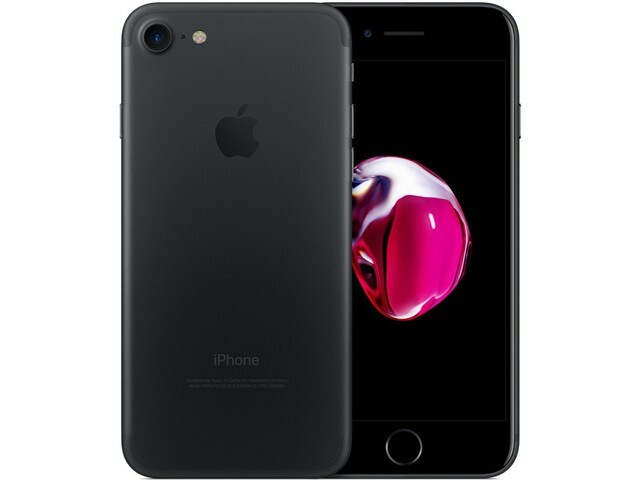 The refurbished iPhone 7 is reliable, dependable and is offered at an attractive price. Buy yours today.